The Maruti Ertiga is already in and enjoying its spell, the Nissan has started bookings of Nissan Evalia and the Chevrolet Enjoy MPV is soon to arrive. 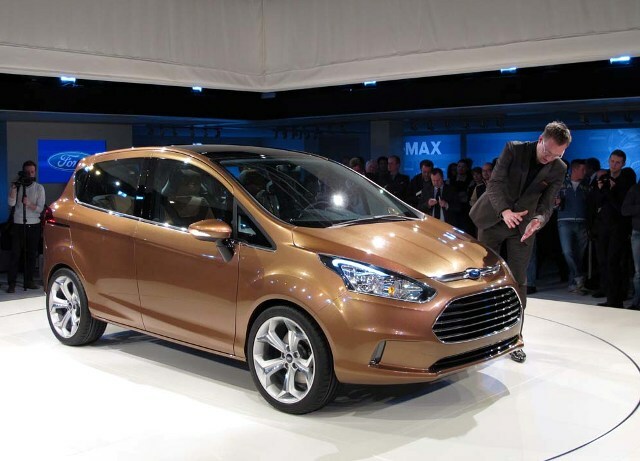 Amidst these three, there is another MPV that is creating buzz in the market and this is Ford B Max. This Ford MPV is an upcoming Ford car in India and will be making the other compelled to low their prices. Recently, the B Max has been awarded as the most beautiful Minivan in Germany. The B Max is expected to get the same treatment here in India as well where the average Indian buying is too curious about the multipurpose cars. Expected to arrive after Ford launches the Ford Ecosport SUV, the B Max has all the traits that make it the best MPV in town. In the survey, the Fiat 500L was voted to be the second best looking car while Renault Scenic stood at the third pedestal. As per the sources, the reason why the B Max was acclaimed to have best looks is its exteriors that is closely in proportion. Be it the front fascia or the sides, the stature of B Max has been acclaimed as the best one. Also, the design of the car offering ease of access and seating at the front and at the rear is the reason why people found the car a true multi utility car. The survey had 102 model cars segregated in eight categories and out of all these the B Max managed to get the top slot. Besides this, the recent award of five stars in the Euro NCAP crash test has further pushed the B Max in the eyes of the car buyers and enthusiasts. In addition to it, the voice command system and Ford Sync are some of the value addition that quadrupled the chances of B Max to contend for the top position.